THE WILKERSON SURFCRAFT “MOJO” WINNER! 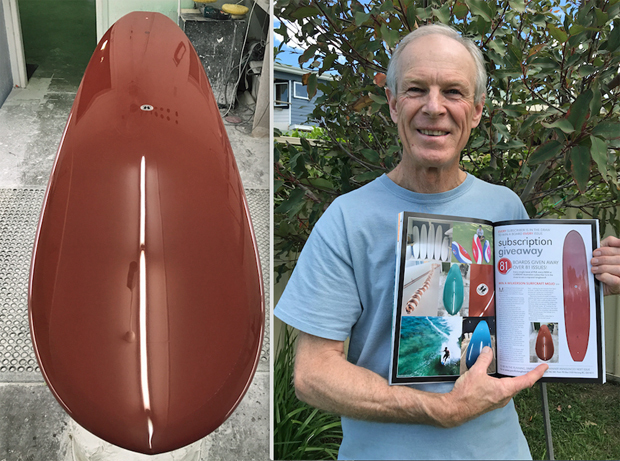 Our 81st subscriber giveaway board winner Phil Pratt, and a fine example of a full resin tint handmade Wilkerson Mojo. Matt Wilkerson has worked with and learned from design legends like Pat Rawson, Donald Takayama and Larry Bertlemann (for starters). Matt builds them start to finish, every board. 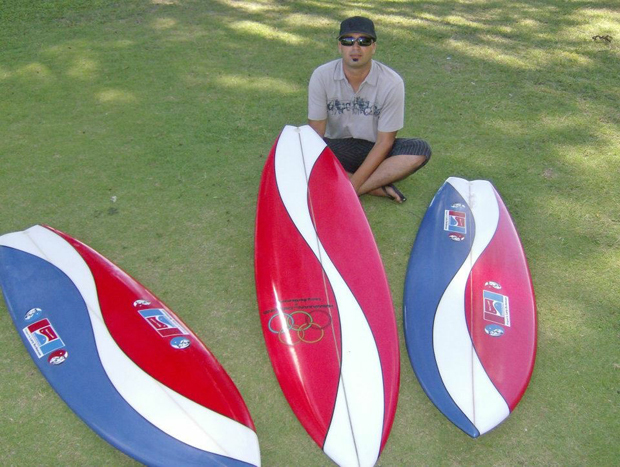 Matt shaped and designed with Larry Bertlemann in Hawaii, and now produces these boards for the Australian market. No cutting corners, class all the way. Check out Matt’s website and Instagram for starters. 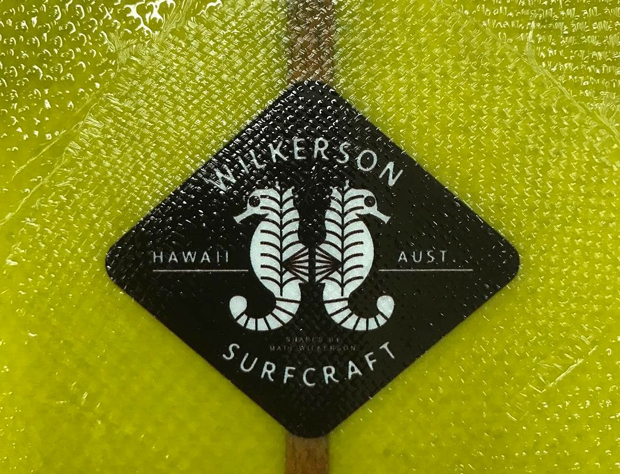 Phil Pratt was struck speechless when we phoned to say he was now the owner of the Wilkerson Surfcraft Mojo. “This will be treasured . . . loved! I know this board, I’ve really checked it out!” he sprouted once he’d got a grip. 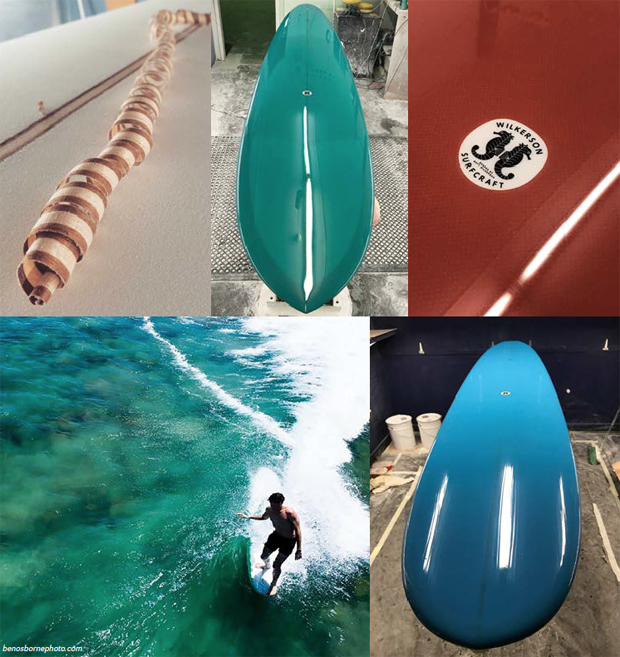 From Kiama and a surfer for over 50 years, Phil lived the shortboard revolution and stuck to it pretty much, and at 64 his main boards are 8’0” and 8’2”. Matt’s Mojo model comes 9’2” to 10’0” with a wide parallel outline for max trim and stability, single concave to rolled vee, 50/50 classic rails, balanced rocker, full resin tint, and trad 7.5oz Volan glass for the smoothest ride possible. She’s a Cadillac de Ville Phil, and all yours!